In certain unavoidable circumstances candidate may apply for change in specialization of subjects. 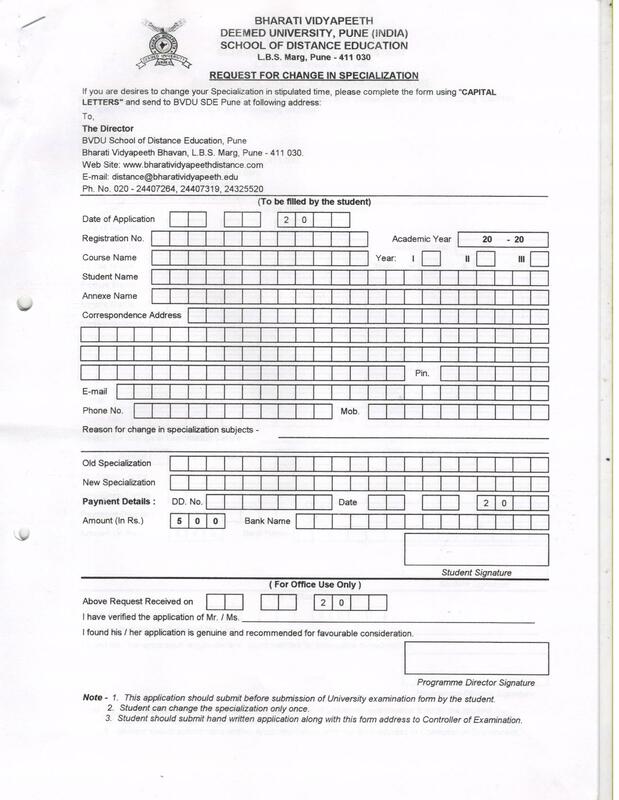 Candidate needs to apply in appropriate form (available at respective academic study center or downloaded from School of Distance Education’s web site) with forwarding remarks from concerned Programme Director or Additional Programme Director and final permission from the respective Dean of faculties. Candidate needs to enclose D.D. of Rs. 500/- as administrative charges.